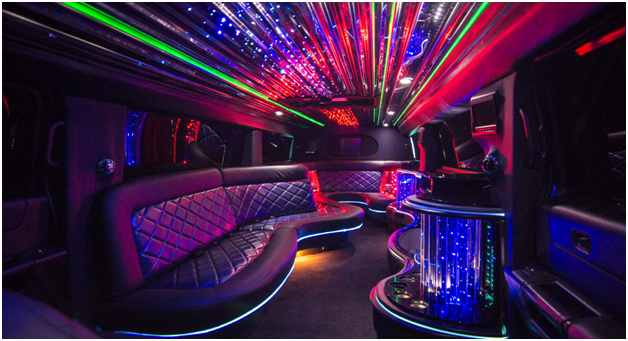 We are proud to present a late model SUV Limousines with maximum seating capacity. The sophisticated spacious interior, all high-end leather, includes three bench seats with a separate love seat in the back to provide an exclusive area for you and your date. The excursion is equipped with a high-tech media package including a 21” LCD monitors, Kenwood sound system with surround sound speakers connecting to your iPhone or iPad, and a DVD/CD player, and all rear power control. The lighting is phenomenal displaying fiber optics from the starlight headliner to the three e-style bars. All of the bars are stocked with ice, bottled water, and stemware. White Expedition Limousine Hourly Rates(Up to 14 Passengers) Summer Special: Sunday-Monday $55.00/hour! This image is Photoshop artwork(not a real picture). If you like to see pictures of real vehicles, we would be glad to email you inside and outside pictures.